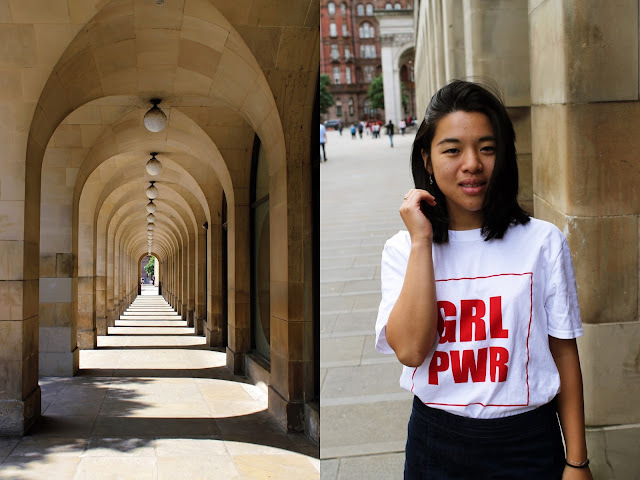 Feeling the girl power with hyper-feminity t-shirts prints? From Prabal Gurung show at New York Fashion Week to street style of influencers. I am sure, everybody is aware of the statement tee saying "The Future is Female" worn by Bella Hadid on Prabal Gurung show. The message conveyed by him on a catwalk show is now a new thing though. Remember the Chanel show back in 2015, where Karl Lagerfeld stage a feminist protest with banners? From that point, we have seen many designers and influencers highly participating in communicating feminism through fashion. Just like every everybody, women should be having a freedom of choice, decision on their life, what they want to do and become, beyond stereotypes. Wearing statements t-shirts have been always a way of communicating ideas. Why not communicate feminism through fashion then?